I am delighted to have crime (and not only) writer Faith Mortimer, author of, among others, the Diana Rivers series, guesting on my blog today. Hello! First may I say a huge thank you to Christina for hosting me on her wonderful blog? I am indeed honoured. I started writing full time about five years ago. Up until then I dabbled, playing around with words: short stories, poetry, and a stab at a full length book or two. Once I’d completed my first novel back in 2009 I was completely hooked and haven’t looked back since. I write at home, in our light and airy living room which overlooks our front garden – a pretty and tranquil place, perfect when mulling over that next chapter. I write after I’ve completed all the necessary chores of the morning and although I can never say how much I will write each day, I do aim to get at least something written down. When I’m in full flow without interruptions then I aim for at least 2000 words. I suppose because I only have a rough outline idea in my head of whatever current novel I’m working on, you would call me a cross between a planner and a pantser – probably leaning towards writing by the seat of my pants as it’s often more exciting that way. As my book progresses I settle into a groove and the whole plot comes alive, the characters becoming more than one dimensional. Christina asked me whether I read inside or outside my genre when writing. As I always have something on the go, then I have to say both. My preferred genre are crime related novels, be they mystery, suspense or psychological thrillers. For something a little lighter, I choose good women’s literature, historical fiction and very occasionally a sci-fi. I find my author heroes change as I get older. Years ago I enjoyed Wilbur Smith, M M Kaye, P D James, Patricia Cornwell, but nowadays I tend to read hitherto unknown authors who have been recommended to me by other readers or author friends. I occasionally pick up a well- known author but often find their series books have become formulaic and quite conservative as the big publishers tend to try and please everyone. Niche books can be tremendous reads. Thinking about it, I have no favourites as I read so many different books. The 12th June heralds in my 15th novel! Yes, when I look back I am speechless that I took so long to really get started, but hey, family, husband and other careers got in the way! 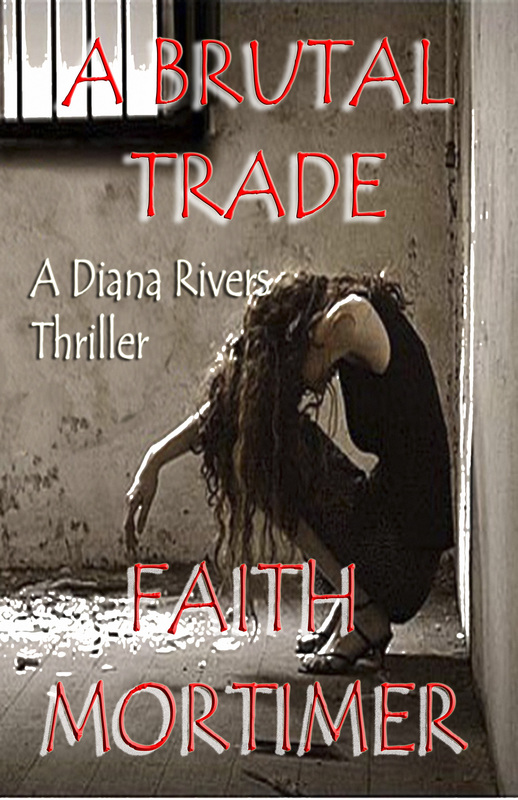 This latest novel is the 7th in the Diana Rivers series, (almost all my books are in series of one sort) and entitled, A Brutal Trade. It is set on the picturesque Mediterranean island of Cyprus. I got the inspiration for the novel after chatting to various friends about the huge and terrible problem of human trafficking throughout the world. I set about researching the material – as I do all my books – through personal contacts, libraries and Google, discovering to my horror that out of the whole European trafficking market a whopping 20% passes through Cyprus – a small island with a population of only 1 million! That, I think is appalling on many accounts. Because the subject matter is so horrendous, and because I feel it shouldn’t be brushed under the carpet, I decided to write A Brutal Trade. A note for the faint-hearted…although this is a gruesome subject, as usual I have only touched on the graphic side of things. Joining forces with local policeman, Sergeant Yiannis Loukiades, the three embark on a journey which takes them to the fringes of humanity. Disturbing secrets are unearthed. They are on the hunt for killers who will stop at nothing in their hunt for one vital woman. As the bodies mount up, the detectives ask themselves one question. What is the reason for the women’s deaths and their horrific mutilations? Thank you once again Christina, and thank you everyone for stopping by. 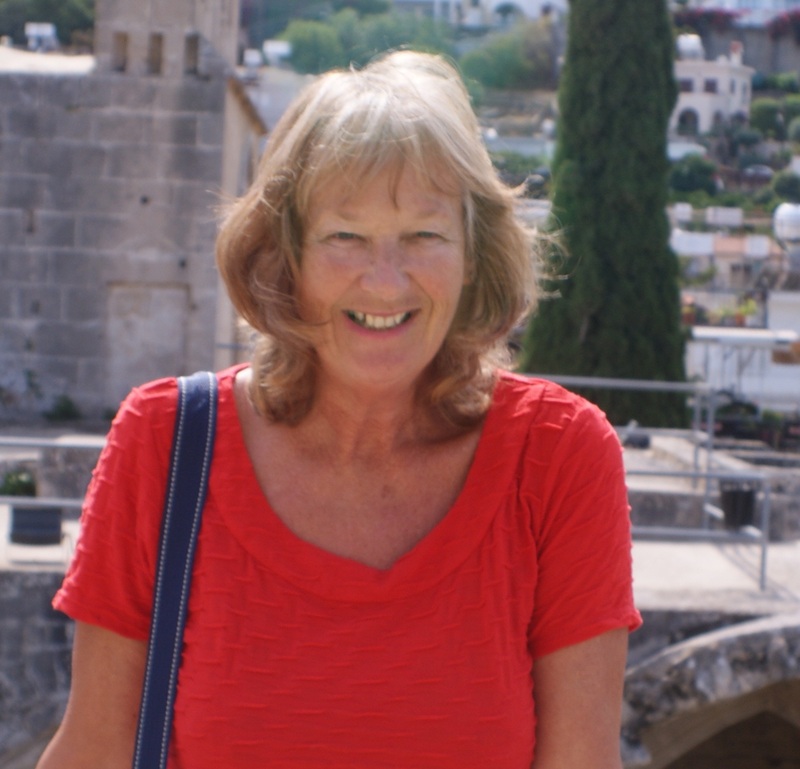 Faith Mortimer is a British author dividing her time between Hampshire, UK & Cyprus. Since 2005 she has been fortunate enough to turn her hobby of writing into a career. During childhood, says she dreamt of writing novels which readers would love, and spent many hours writing short stories which she subsequently read to her younger sisters (probably under pressure, she added!). Faith was born in Manchester, England & educated in Singapore, Malaya & Hampshire, England.